United Brethren churches do a lot of special things during the Christmas season. While the Christmas season is still fresh in your mind, write up a little description about any special ministries, programs, events, services, activities, etc. at your church. We’ll get it posted on UBCentral.org. Other United Brethren will enjoy hearing about it. If you have digital photos, you can attach them at the end, or just email them to steve@ub.org. We even have a form you can use (click the button below) to send your report and any photos. Or, you can email a report directly to Steve Dennie. L-r: Joe Abu, Marshall Woods, and Bishop John Pessima. Pastors and spouses from the Cumberland cluster at their Christmas dinner. Mill Chapel (Reedsville, W. Va.) was honored by a visit from Rev. 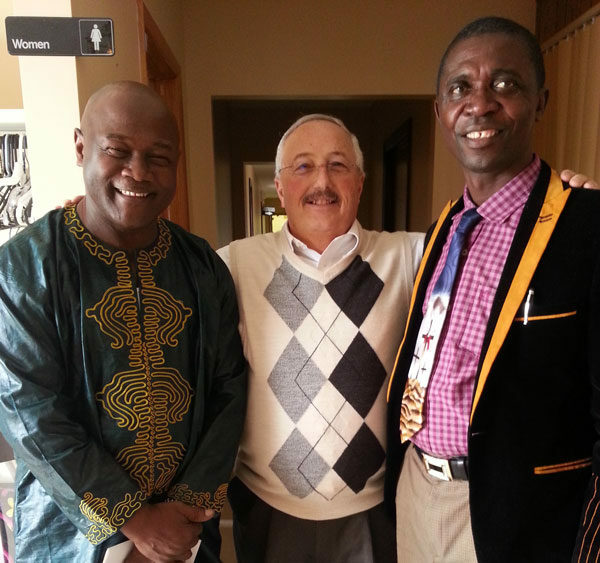 John Pessima, bishop of sierra Leone Conference, and by Rev. Joe Abu, a United Brethren pastor in Philadelphia. On November 27, Bishop Pessima shared a slide presentation to inform the congregation about what God was doing in his country. Rev. Marshall Woods, pastor of Mill Chapel, leads the Cumberland cluster. 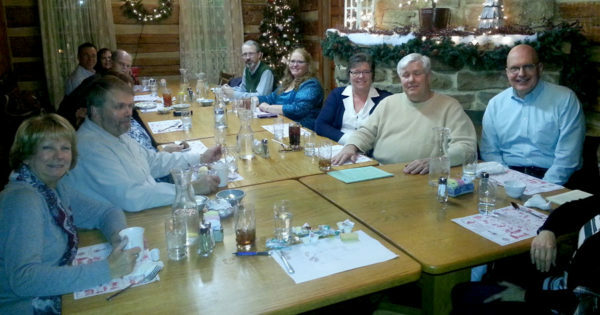 On December 6, the pastors in the cluster and their wives met for a Christmas dinner, which Marshall and Gloria Woods arranged at the Penn Alps Restaurant. They presented a gift to each pastor and spouse. 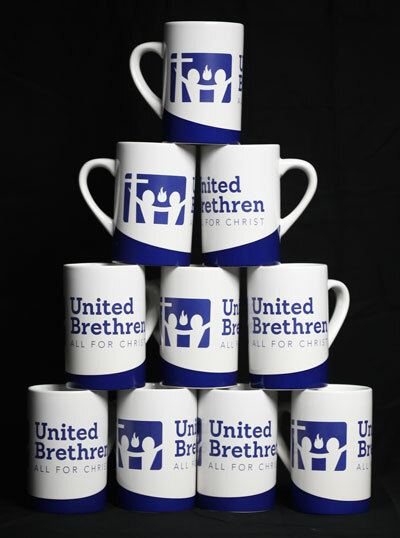 For December, free shipping is available on coffee mugs with the United Brethren logo. They make good Christmas gifts for Sunday school teachers, board members, and others. Fill with candy for a real treat. Cost: $6 each, or 4 for $20. You can order from the United Brethren National Office. To order, call toll-free 1-888-622-3019.